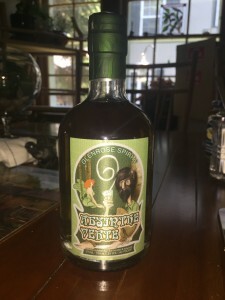 An excellent choice for both the novice trying an absinthe for the first time or a jaded connoisseur …..
Notes: Glenrose is a small distillery even by micro distillery standards – they only had a 4 plater 30 gallon hybrid pot still from Artisan Distilling. They just recently added a 100 gallon Bain-Marie multipurpose from StillDragon and a small home brew experimental rig. Glenrose makes a large variety of products for such a tiny distillery – among their spirits are their Apple Shine, made from local apples, Pear Brandy, their lovely Snow Devil Gin, Wild Jim’s Old Saloon Four Grain Whiskey , and Wild Jim’s White Wolf Malt Moonshine. This absinthe ( done in the Pontarlier style) is one of their newest editions in their expanding portfolio. Appearance: Clear with a lovely naturally occuring green when first distilled, later on it turned a nice fallen leaf color that shows it is a naturally made absinthe. Nice oily but clear appearance on the glass, on swirling leaves a very thin coat with tears. Absinthe is well mixed as you cannot see separations of individual ingredients. As a sidebar under appearances, this absinthe does not louche (turn opalescent) well unless you are using very cold water/icewater, a minor aesthetic point, but some people might consider this a more than minor fault. On the other hand I think the taste balance achieved more than makes up for the absinthe theatrics. First Impression: Delicious, almost salivatingly luscious absinthe bouquet with anise, fennel nicely entwined with lemon balm, wormwood notes in a complex yet harmonious blend. Taste: Nicely complex and herbal bitter with the anise and fennel taking the front stage with the underlying bitterness of the two wormwoods giving them a nice underpinning and edge without overwhelming the other ingredients moderate length finish that is warm, cold and tingly. 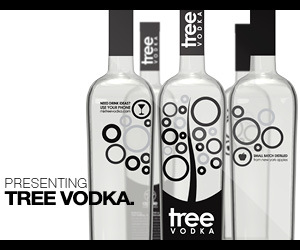 Other: Only absinthe made in New York State north of the Hudson River area. 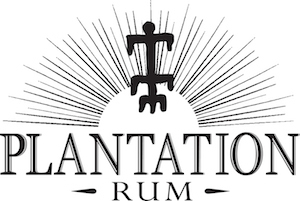 Glenrose also produces an aged Applejack or Apple Brandy, 2 Pear Brandies, Batch 1 and Batch 2, Snow Devil Gin , an unaged whiskey , and several editions/releases of their Old Saloon Four Grain Malt Whiskey ( we reviewed Barrel/Batch 1, 11, and 14 ) . Check their Facebook or website pages for updates. Final Thoughts: For a first attempt at making an absinthe they hit it right out of the park. Kudos ! Fairly simple and straightforward webpage- easy to navigate and full of humorous drawings too.